Midwest Heating, Cooling & Plumbing is always looking for skilled professionals in the Heating, Air Conditioning, Plumbing & Drain Cleaning industry to join our team. Our employees are the most valuable people in the company. We take pride in the company's ability to provide the best opportunities, career advancement and work environment for our employees. If you're an experienced, reliable and motivated technician, please reach out to us with your cover letter and resume. 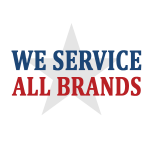 Midwest Heating, Cooling & Plumbing is a family-owned HVAC Company that has been in business for 50+ years. As our replacement and service departments grow, adding dedicated employees is our goal. We are a reputable HVAC company looking to add experienced RESIDENTIAL INSTALLERS and SERVICE TECHNICIANS to our team! We thrive on our quality of work and expertise in the industry. Need to be able to work well with others. It’s great to be a part of our growing family! Interested in working for Midwest Heating, Cooling & Plumbing? Accepted file types: doc, docx, pdf, txt, odt, rtf, wks, wps, wpd, tex. If you have a cover letter and resume available now, please upload it here. Otherwise, we may request it once we review your brief employment history.